Pre-heat oven to 200°C. Peel and cut potatoes into chips, place on a lined baking tray with salmon and season chips with oil and salt. Place salmon in oven and bake for 25 mins, turning chips once. Toss Mescal lettuce with olive oil and vinegar and season with salt and pepper to taste. 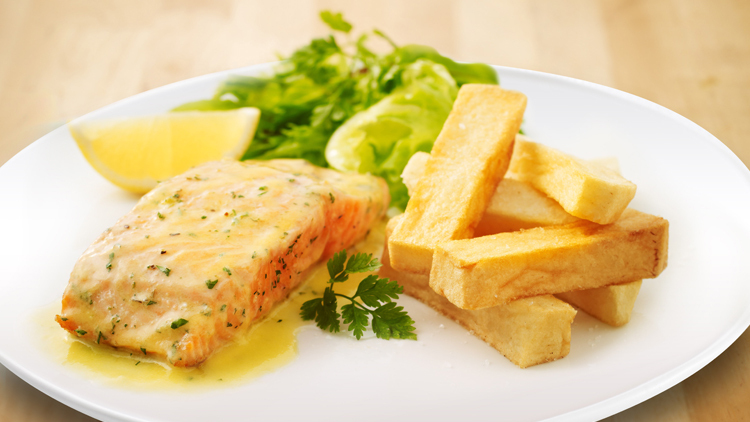 Remove salmon and chips from oven and serve with salad, lemon and enjoy!